A totem figure at Alert Bay, BC. One watercolour on paper of Alert Bay, B.C. View along road. Two boys standing next to pole. People walking along boardwalk in front of houses. One painting of monumental pole and house fronts. 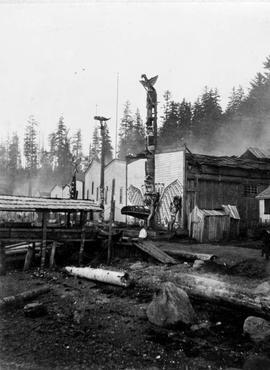 Alert Bay pole and housefront. Alert Bay poles and housefronts. 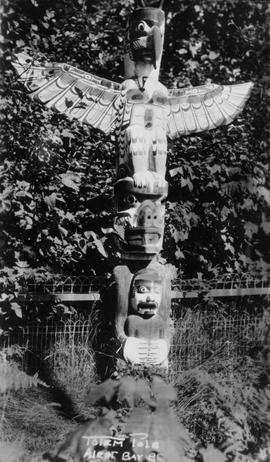 Detail of top figure on house post, Alert Bay, BC.